The North Cornish coast must be one of Britain's most mesmeric locations: historic fishing villages and rocky inlets,lush green,undulating farm land, and the bracing Atlantic sea, wild and rolling, under an astoundingly wide sky. Just beautiful. Not only has it been an inspiring location for artists and writers, it is one of Burford's favourite places to kick off our shoes and re-engage with the good things in life. Down time to walk, feast, explore and relax. So, we're delighted to share with you a great place to have fun and rehumanise. Cloud Nine is a luxury holiday retreat giving a taste of Burford by the sea. 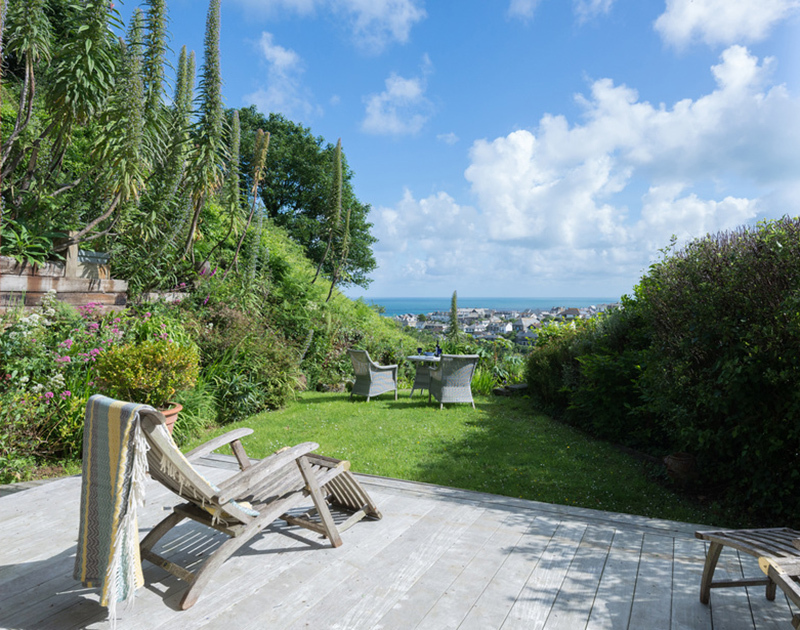 The house, overlooking the charming and well-loved coastal village of Port Isaac, was discovered by Burford's owners, Nigel and Louise Johnson, whilst holidaying in the area. 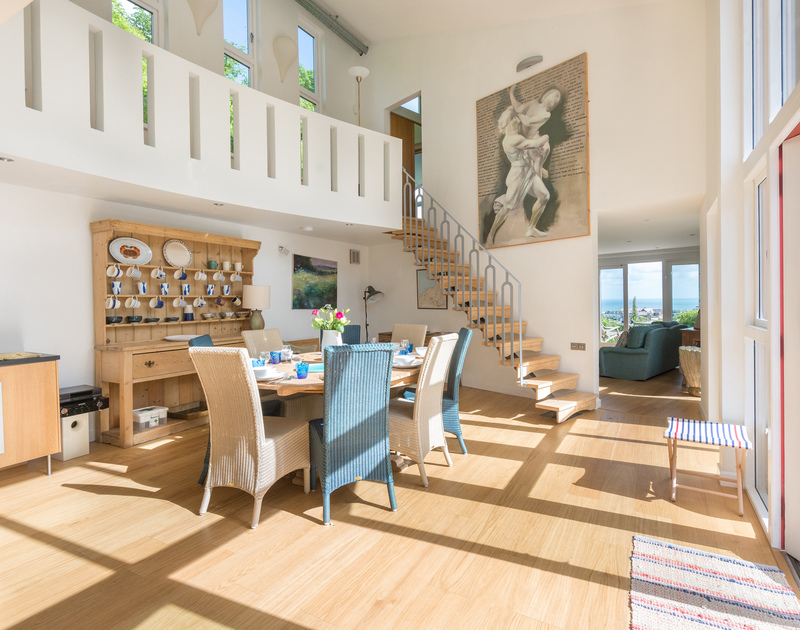 The light-filled interior was designed by Nigel and Louise and reflects their ethos and their love of light, of wide open spaces and the sea. 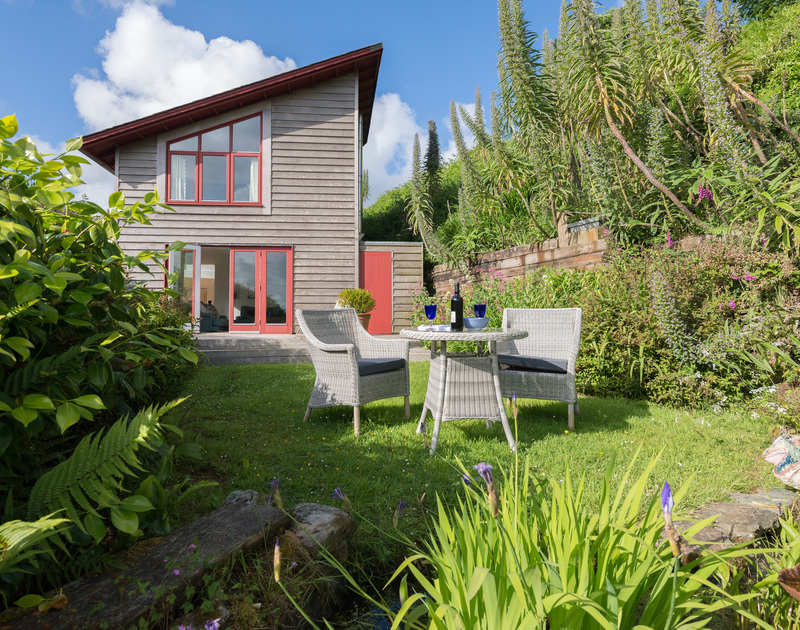 Offering generous accommodation, as its name suggests the high location has spectacular views over the harbour, valley, mystical Tintagel Head and the open sea. It's a haven where the elements of eco-conscious, modern architecture meets Burford's signature style: comfy sofas, colourful accessories, gorgeous lighting, and eclectic original art. Not to mention an inviting lush green garden complete with terrace for sun-up chilling or enjoying an outdoor feast on a summer's evening. Perfect to gather with family and friends (sleeps up to eight people and one well-behaved dog by arrangement), Cloud Nine is just a 5 minute walk from the sea and the village, also home to Nathan Outlaw's highly acclaimed flagship restaurant which has been named Best Restaurant in the UK in the 2017 Good Food Guide. It also makes an ideal base to venture further inland, discover delightful Padstow, lovely sandy beaches and the plethora of music, art and literary festivals Cornwall has to offer. Managed by John Bray Cornish Holidays, we're sure you'll love it. Take a look and book now!